Just after arriving to new location the workers unload and start unpacking goods firmly. These professionals unpack fragile goods separately and non fragile goods one by one so that they remain as they were in old location. Our clients can rely on our range of Unpacking services for safe and reliable unloading and unpacking of the consignments. The professionals take utmost care in rendering our services so that our clients need not bear any loss of their valuable products or goods. We offer services at industry leading price rates to meet the needs of our clients. After delivering the goods at the location, many materials will be unpacked, cleaned and placed in a proper place and will be placed in an organized manner. To ensure the safety of goods at the time of packing and unpacking, Unique Express Packers and Movers recruited expertise for supervision who will observe the whole task. At Sky Home Packers & Movers we ask our customers to hand over all their packing and unpacking troubles to us. Being experts in this field we ensure that we pack and unpack in the most efficient manner. 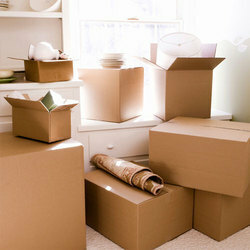 We will help you to relocate your home or office without any hassle. You don't need to worry about the expenses and hurdles while shifting. Making your way more easier, we have come up with more flexible Packing and Unpacking services. The entire packing is done under the supervision of an expert who makes sure that all the goods are perfectly packed so that they don’t get damaged while moving from one place to another. Once the goods have reached the destination safely, we would unpack them. They can also rearrange the goods at your new house, if you desire so. We possess highly skilled efficient team and assure the best quality of packing. Our Packing materials are specially equipped for protection of your valuable goods from scratch and damp.